Now booking 2020 - Schedule your Trailside Inn wedding tour today! ​​Congratulations on your engagement! We would love to host your celebration! We hold romantic, intimate wedding events onsite. 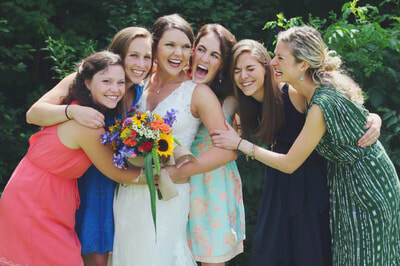 ​From casual to elegant, we can help build your dream wedding and host your family and friends! Our wedding packages offer exclusive use of the property for your event. For the weekend, our entire property is yours and yours only. 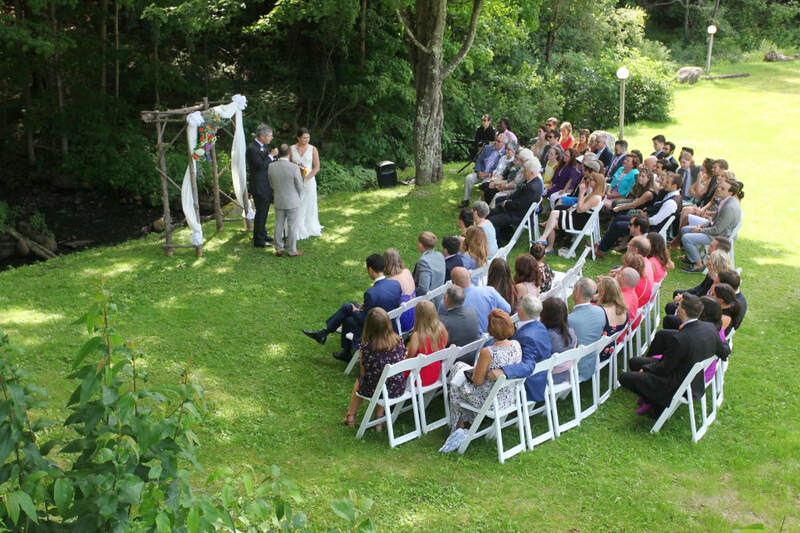 Imagine a beautiful, outdoor ceremony held by our babbling brook. Our charming Great Room can be used for your rehearsal dinner; our deck and back yard are perfect for cocktail hour. We have a wonderful tented outdoor space for your reception. 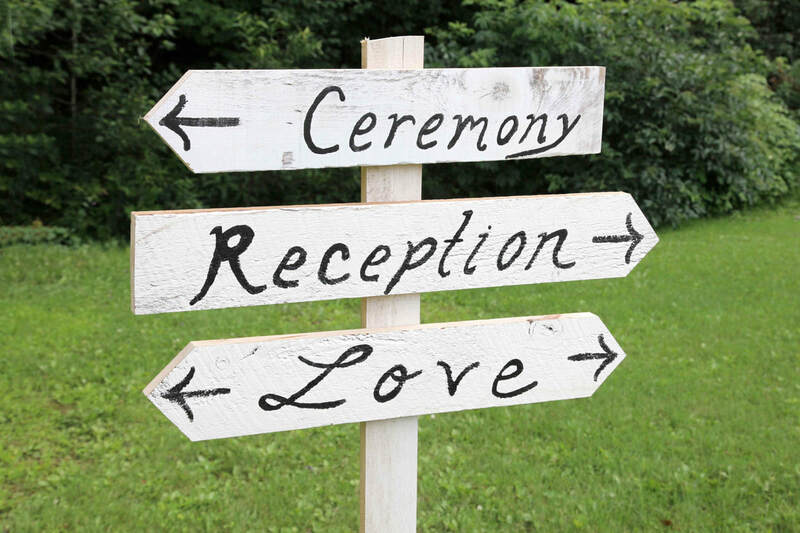 Each wedding weekend is built per event, based on your vision and preferences. 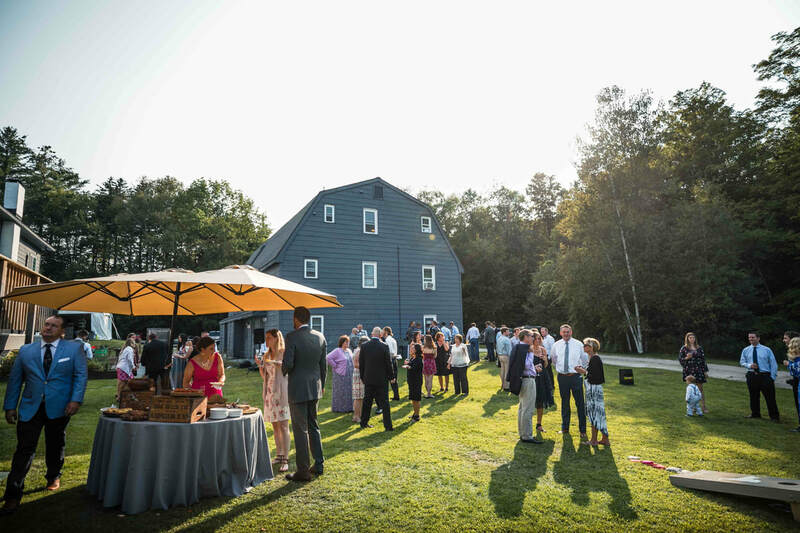 Your perfect Vermont wedding weekend can include a Friday night welcome party, Saturday ceremony and reception, and a Sunday morning farewell brunch. With multiple fire pits on property, everyone loves our cozy nightly bonfires under the Vermont stars; especially with s’mores. With all the weekend’s events held onsite, this allows for more time spent with family and friends, as well as zero worries about shuttling guests. For inclement weather we have backup rain locations in the main inn as well. Having your wedding at Trailside means that all of your guests will be able to stay right on property with you! We offer a variety of room accommodations to suit every taste and budget, including Standard Queen Rooms, Efficiency Apartments, Self-Contained Apartments, and Bunk Rooms. Our property has 37 bedrooms total and sleeps up to 100 people onsite. 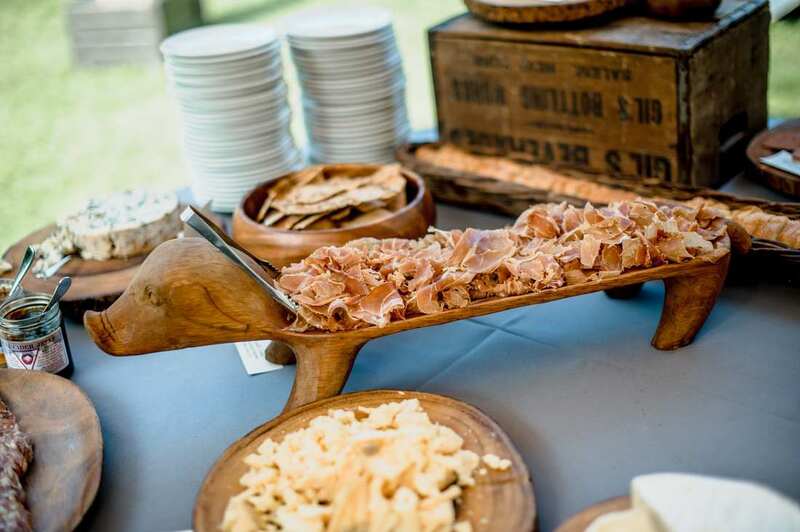 ​We recommend Vermont Farms Catering for the food and beverage for your event. 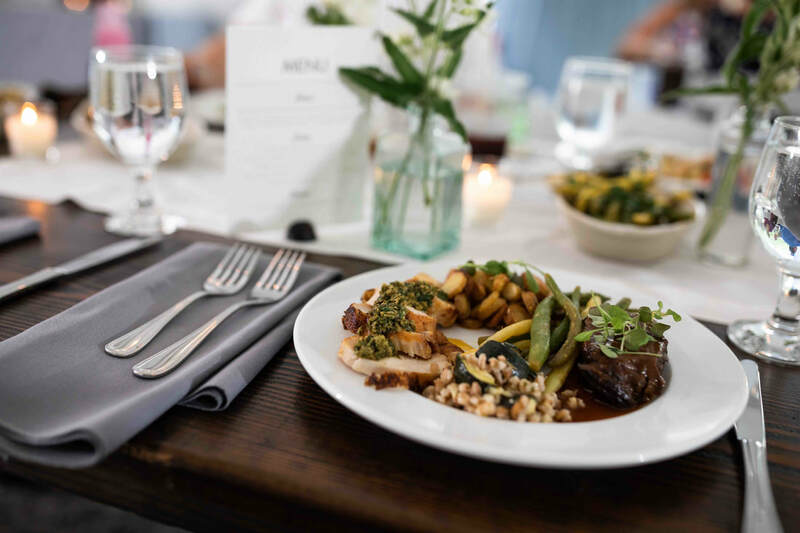 Their restaurant, The Backroom, was recently featured in the New York Times and they are recognized as the caterer of choice on The Knot New England Best of Weddings 2016, 2017 and 2018. Please contact us today at (802) 422-8800 or innkeeper@TrailsideInnVT.com to begin planning your dream weekend! For more reviews and photos please visit the Trailside Inn on The Knot and Wedding Wire. Wouldn't it be nice if the innkeepers were logistical masterminds but also super tasteful and friendly hosts? 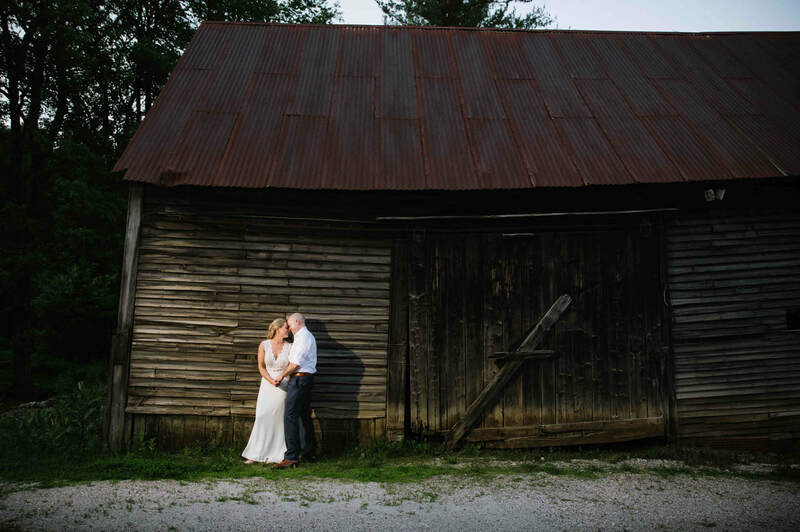 Josh and Ann at the Trailside Inn were such a pleasure to work with. From the initial planning to the sort of game time adaptations on the day of, Josh and Ann offered so much resourcefulness and so much of this happy guidance to us. 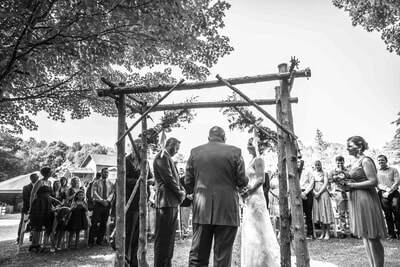 Our experience with the Trailside family and the venue in general was beyond what we would have dared to hope for our wedding. We are realizing how many skillful touches that there were now that we are talking about it. They literally customized our weekend at the Inn. We think because they are logistical masterminds, they enjoy facilitating the process. Communicating about details was clear and easy from the beginning. 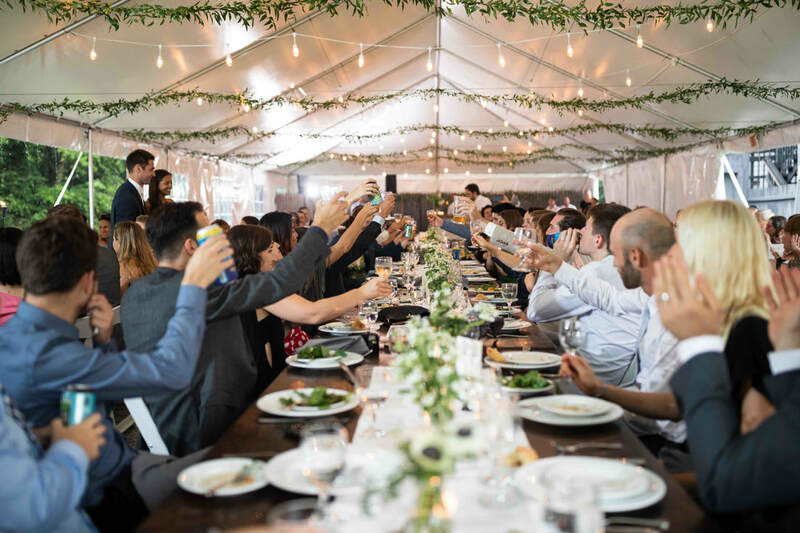 Then on the day of, Josh and Ann coordinated the caterers, the band, the table and linen rentals, skillfully freeing us up to share a moment with a friend here, a moment with a family member there, and so on. It was such a happy day. They welcomed our crazy lawn games and added theirs to the mix. Our friends and family kept telling us how great Josh and Ann were about hiking suggestions, biking routes, and golf courses. They have a magic way of taking care of things invisibly or checking with us about how we would like something to be. But they also just sometimes chatted and hung out with people when they had a minute. The tasteful, open-minded way that Josh and Ann welcomed people really invited our families to come together and created an environment where so many special moments between so many people could take place. ​I could not be happier!! The Trailside Inn exceeded our expectations in every way - the grounds are gorgeous with a relaxed vibe, the Inn was cozy and welcoming and the Inn Keepers and family were the best hosts and hostesses you could ever ask for. 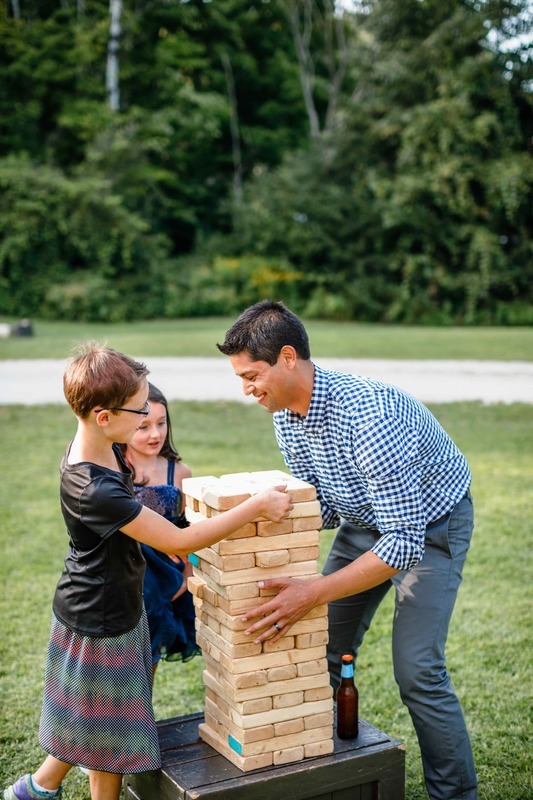 From the moment I arrived I was able to relax and enjoy Vermont and my family, with full confidence that Josh and Ann had everything under control. 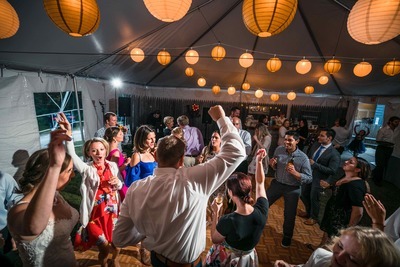 All our guests have been raving about the entire weekend and say that it was one of the best weddings ever!! 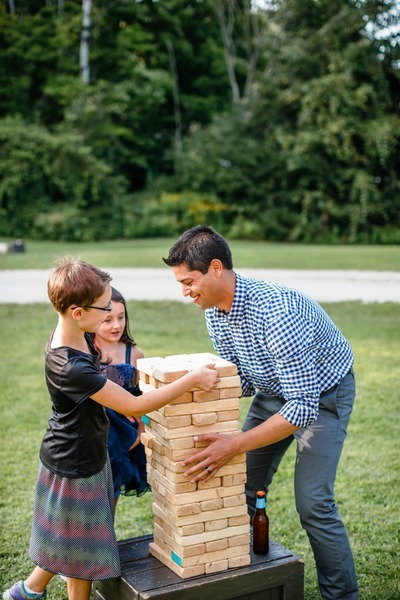 We had a ton of kids staying at the Inn and attending the wedding and they had a blast! 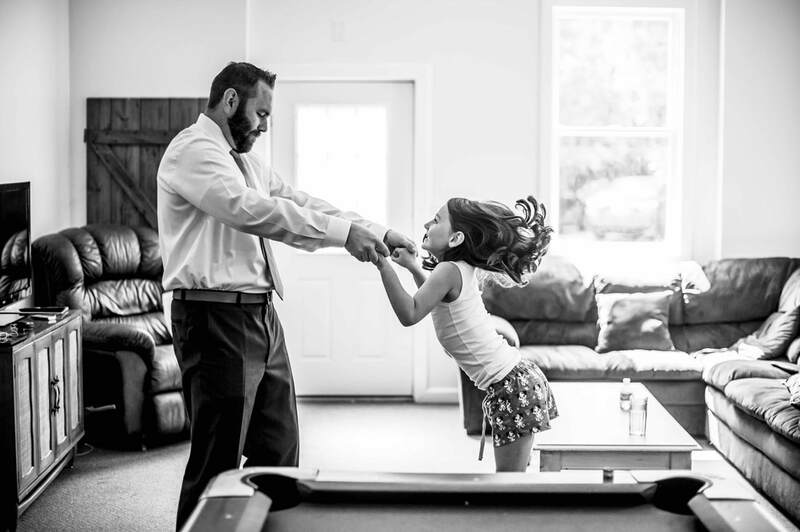 The yard games and game room provided them entertainment and space to just be kids! You would never have guessed that a third of the guests were children! I wanted my wedding weekend to be all about family; a pause in the every day craziness of life; a time for everyone to be able to appreciate the ones they love. After it was all over and we headed home, I reflected back on our days at the Inn and felt very grateful for the entire weekend and I would do every moment exactly the same. A very heartfelt thank you to the Josh, Ann, Brex, Quinn and the Trailside Inn. You are truly the best!! Josh and Ann helped us to create an atmosphere throughout the entire weekend that was pure magic. They were there, unobtrusively, throughout our whole time with helpful guidance and assistance. Honestly, I cannot imagine how our weekend at Trailside could have been any better. We commend them gratefully and recommend them without reservation. We look forward to visiting them again! 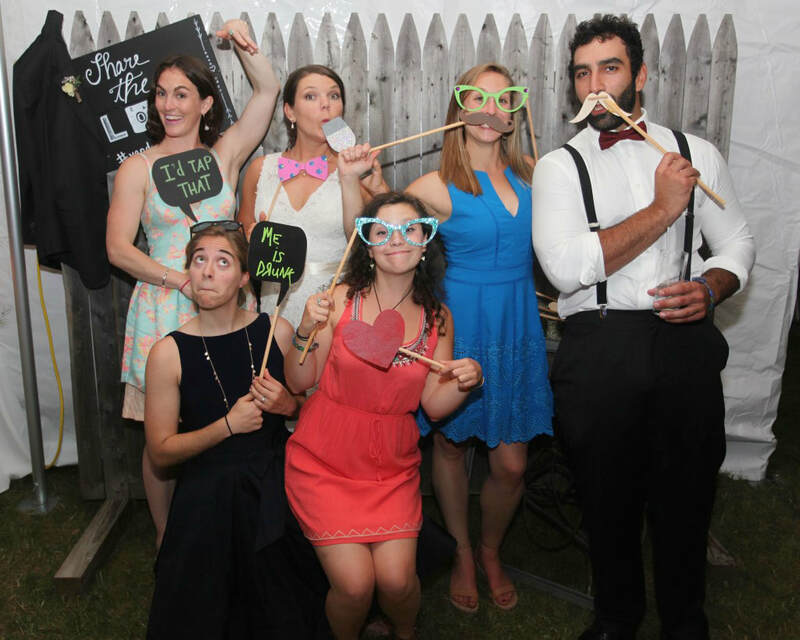 ​Our friends and family have told us this was the best wedding they've ever been to. We were looking for a venue where we could not only get married but also hang out all weekend, spending time with the people we love rather than fussing over details. The Trailside checked all the boxes and then some! We loved that it was cozy, inviting, and friendly, and really set the tone for the weekend. It was an amazing place for our group of 100 to gather, from the Friday night welcome party to the Sunday farewell brunch. We visited a few times for planning meetings before the event, and Ann and Josh were very welcoming and on top of the details. It was such a relief to work with two people who not only had the experience and knew what questions to ask, but also really cared about us and our wedding. They also had some great suggestions for vendors, including Woodbelly Pizza (Friday dinner), Vermont Farms Catering (Saturday dinner), and Woodstock Farmers Market (Sunday brunch). Josh and Ann were very flexible with my requests when it came to decor, layout, timing, etc., and had a lot of great suggestions. One of the vendors mentioned to us that Ann and Josh are some of the most organized/on-top-of-thing people they've encountered in the wedding industry. We always felt that we were in good hands, and never felt stressed. Our wedding was everything we hoped it would be, and I don't think it would have been anywhere near as good if we had gone someplace else. Thanks Josh and Ann! We'll be back for skiing! Josh and Ann, the innkeepers, were totally professional but never pushy. 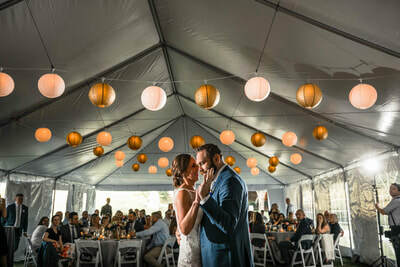 They listened carefully to the couple's vision for their wedding, and managed to have it all come together beautifully. If they knew an idea would not work well, they suggested alternative ideas in a non-offensive way. We felt so supported in every way, it felt like we were working with good friends. Vendors were selected from their suggestion list, everything was flawless, and the caterers provided some of the best food I have ever eaten in any restaurant! They supported us in our decision to do DIY flower arrangements and garlands for the tent, and helped us make that idea a great success. The Inn provides approximate pricing for vendors on their website, which really helped estimate the total cost of the event at their venue. There were no surprise extra costs at the venue, everything is clear and well explained in advance. The Friday welcome reception was held in the great room while pizza was baked outside the front door by a vendor. The wedding ceremony was held in front of the arbor by the creek, cocktail hour was on the patio and deck, dinner was in the large tent, S'mores were made at the outdoor fireplace, the after party was in the game room, and farewell breakfast was held in the great room. We used all the facilities available at no extra charge. Happy parents, happy couple, happy guests! The service could not have been better and Josh and Ann were so helpful and extremely nice. I would definitely go back to just to stay there! ​Just wanted to say thank you again so much for hosting such an amazing weekend for my sister's wedding!! Your place was perfect and glad we had such great weather. My kids had the time of their lives and everyone in the family was still buzzing about how much fun they had all last week. We appreciate everything you guys did and all the hard work you put into it - certainly helped us create memories that will last forever. 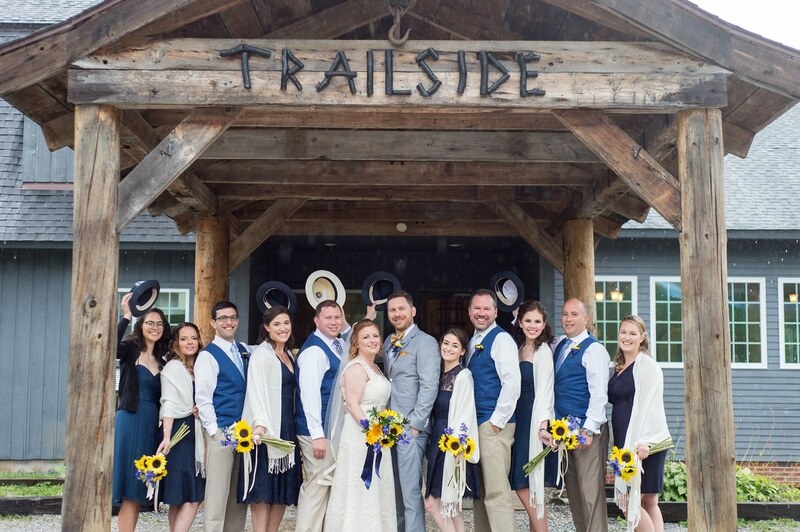 I'd highly recommend the Trailside Inn for any couple looking for a beautiful Vermont space and looking to work with awesome people as well! Thanks Josh and Ann! ​Absolutely beautiful place. The innkeepers were so kind, tuned in, and thoughtful. They played a huge role in making my brothers wedding such a memorable, enjoyable experience. Thanks again! I just went to a wedding at The Trailside Inn and wanted to review it here because it was AMAZING and anyone who wants to get married in Vermont or New England should know about this place. First of all, the setting is absolutely idyllic. The area for the ceremony was set in the woods by the cutest little babbling brook, there was a great backyard and deck area for the rehearsal dinner/BBQ, bonfire ring for roasting marshmallows, tent for the reception, and the first floor of the inn has this beautiful great room where everyone can hang out throughout the weekend. 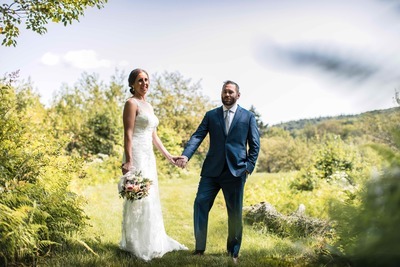 Second, the innkeepers Josh and Ann were beyond wonderful - they were so involved with every aspect of the planning, so helpful throughout the set-up, available for every question and request - just gems to work with. Finally, it was just so nice to have everyone together in one space for the weekend - especially when people are traveling from so far away to attend a wedding. There was a real sense of family and closeness, and I think a large part of that was sharing the space for the weekend - as well as everyone just being so excited for the wedding. If I could give them ten stars I would!! We attended a family wedding here. I can't say enough about what Josh and Ann provide. The atmosphere makes you want to relax and the comforts of fires, yard games and comfortable rooms makes it easy to do so! Every vendor they connected us with was wonderful. If we ever come ski at Killington staying here will be a no brainer but the summer is even better. Bring your little ones and let them play in the stream like kids are supposed to do. Bring your older ones and let them sit in the shade and read. Definitely host your wedding and company event here and definitely have your wedding here!!! My friends got married on a rainy Sunday and many of us stayed from Friday until Monday. On nice days, we hung out on the beautiful outdoor grounds and at night and during the rain, the indoor spaces were well set-up to have different groups of people all near each other. The food was excellent, the innkeepers were hardworking and made all the logistics go smoothly. I appreciated that there were different kinds of rooms available all at a different price point and all in the same place. I'd definitely recommend this location. ​We absolutely loved everything about Trailside! Josh and Ann are amazing and so helpful throughout the planning process and the weekend. 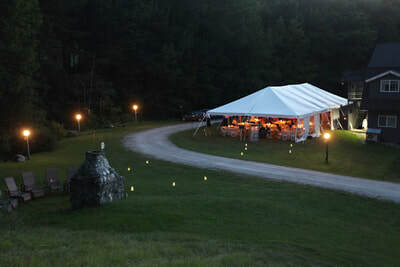 The location is gorgeous and, even though it POURED on our wedding day and we weren't able to have the ceremony outside, the tent was beautiful and everything was perfect. Our guests were delighted when they realized we really had the whole place to ourselves. We had the flexibility to do different events throughout the weekend and it was so fantastic to see our guests interacting and getting to know each other. 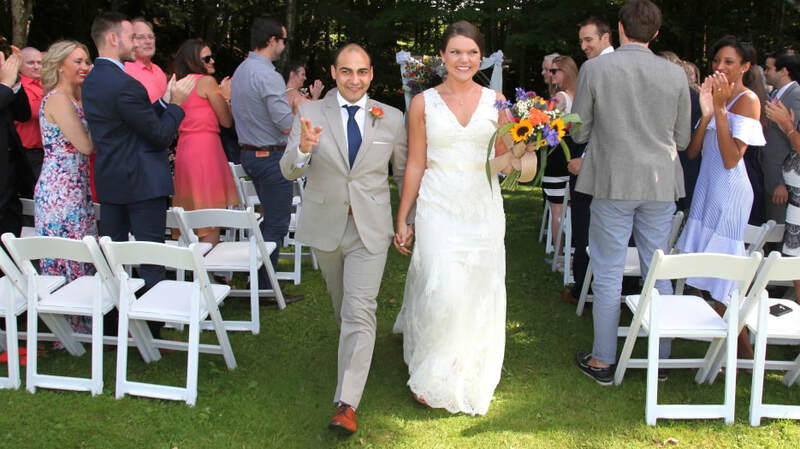 Our guests were comfortable at Trailside and had a great time, and Josh & Ann feel like family! 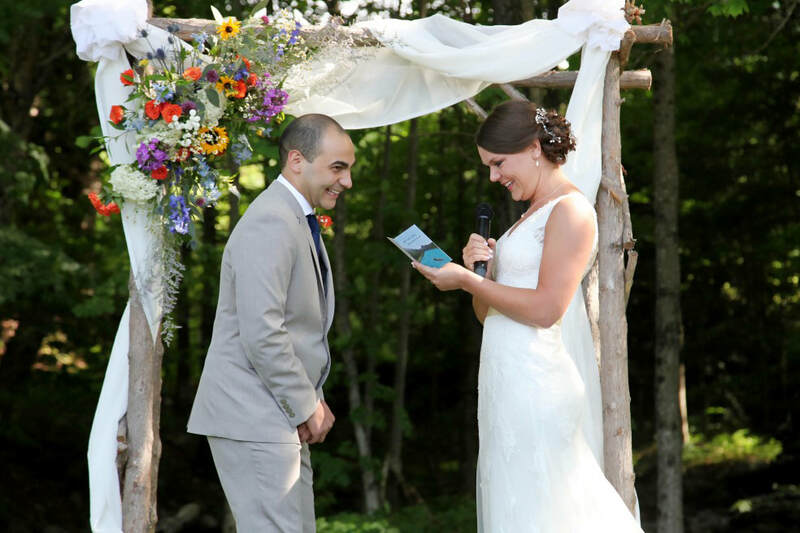 ​When I say that we had a PERFECT wedding at The Trailside Inn, that is an understatement! 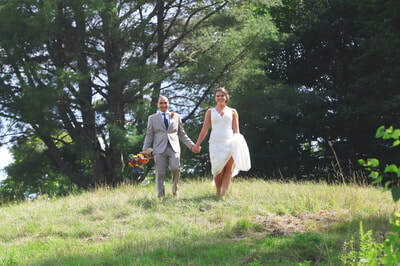 My husband and I got married on in August and all of our guests continue to talk about how great the entire weekend was. We live in NJ and were able to do the planning remotely and with a few visits. Ann and Josh helped facilitate communication with the vendors and made sure that no detail was missed. All 80 of our out of town guests were able to stay on site which was a huge plus in our book. It made for a relaxing, reunion type weekend where everyone could gather in the Great Room at anytime from breakfast, to breaks after exploring the area with hikes, to ending the night. Our ceremony was held by the stream, cocktail hour on the back deck and lawn, and the reception under the white tent. The hospitality and warm welcome at The Trailside Inn makes it an excellent wedding venue. If we were to do it all over again we wouldn't change a thing! 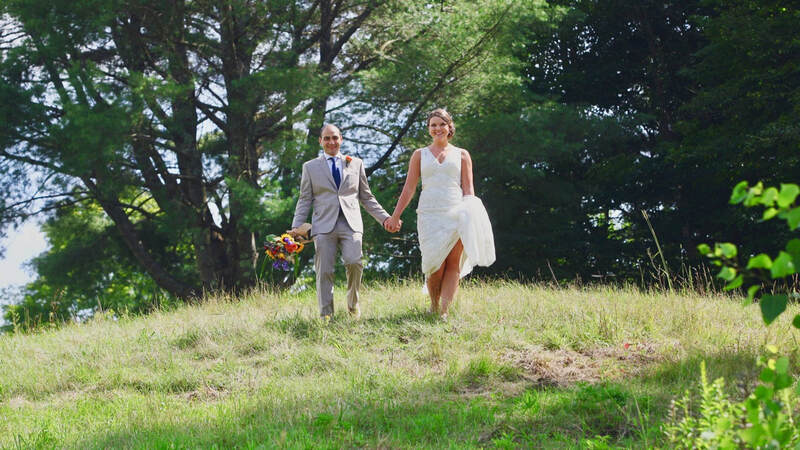 ​The Trailside Inn was the perfect venue for our dream wedding! 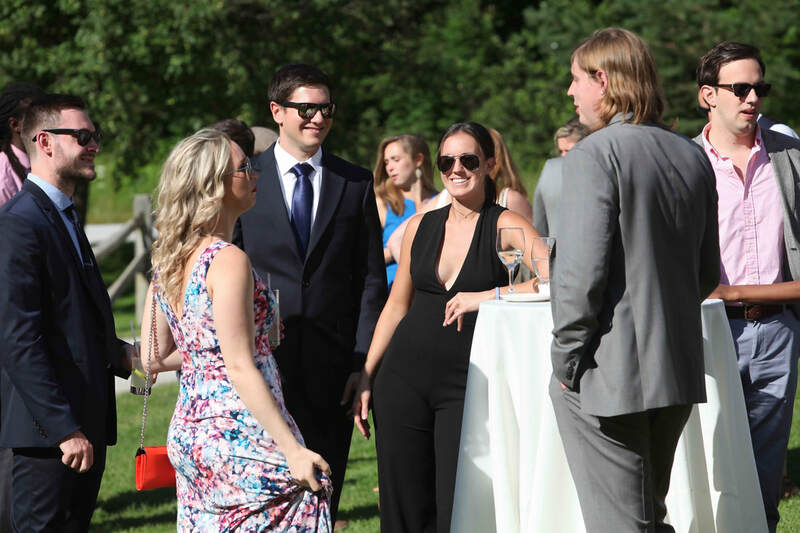 As a destination wedding it allowed for all of our guests to stay on site and thus created a reunion type feel for the entire weekend. We are two months out from our big day and family and friends are still giving us compliments on how great it was. Josh and Ann, the innkeepers, are incredible! They didn't let us miss any details and it allowed for a perfectly smooth weekend. They also helped us find vendors to fill our needs and budget which was a huge help since I was planning this from out of town. The natural surroundings created absolutely stunning photos. I just recently got my pictures back and was able to relive it, once again being reminded of how amazing it truly was. I give this venue nothing but the highest recommendations. You won't be disappointed! 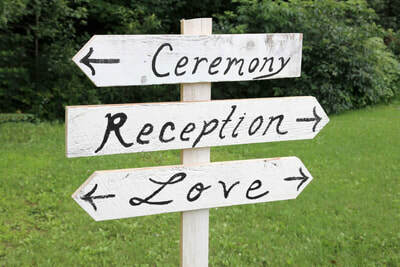 ​Best venue and innkeepers and hosts EVER!!! The innkeepers Josh and Ann are amazing - were attentive to all of our and our guests needs and made everything flow with ease. In addition they are so friendly and kind; I feel like they are now part of the family. The venue is gorgeous, inviting, cozy, unpretentious, and everything we wanted for our weekend. 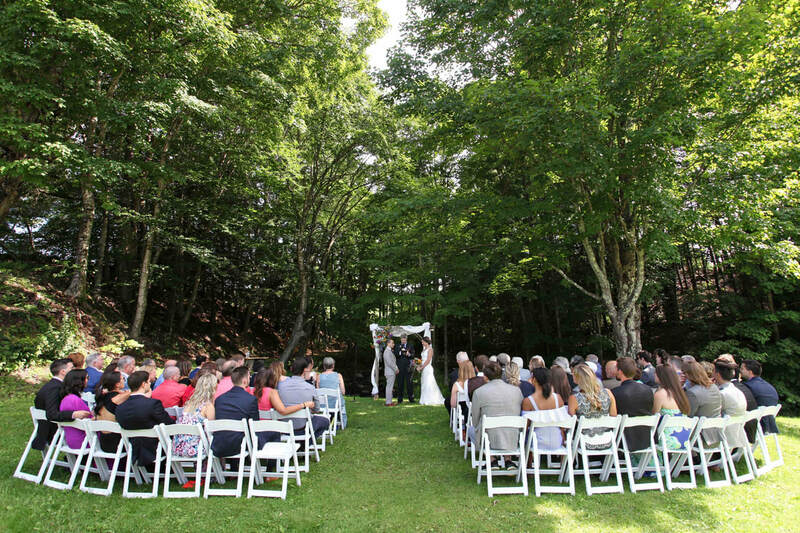 The ability to have the entire property for just our wedding guests was such a special thing. It helped make everyone feel at home so that we could just all have that much more fun. I can't say enough good things about this place and the innkeepers. Our decision to use this as our venue was easily the best decision we could have made. 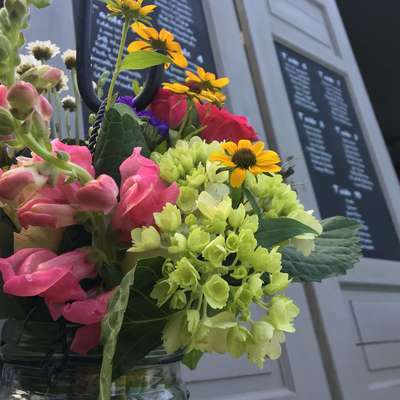 They suggested other amazing vendors and from there our whole affair came together perfectly. Five stars is not nearly enough!! If you are looking for a venue for 50-100 people look no further. I promise you will be thrilled with your choice. ​This is an INCREDIBLE venue for a wedding. The setting is romantic, peaceful, and heartfelt, and the inn keepers go out of their way to make your weekend meaningful, fun, and as close to perfect as they come. There are tons of things for guests to do in the surrounding area (hikes, swimming, biking, breweries, etc), but with big beautiful wooden tables for chatting or board games and lawns for lounging and yard games you needn't even leave the property all weekend. I can't recommend this venue and the team that works there enough. ​We recently had our family reunion-style wedding at the Trailside Inn. 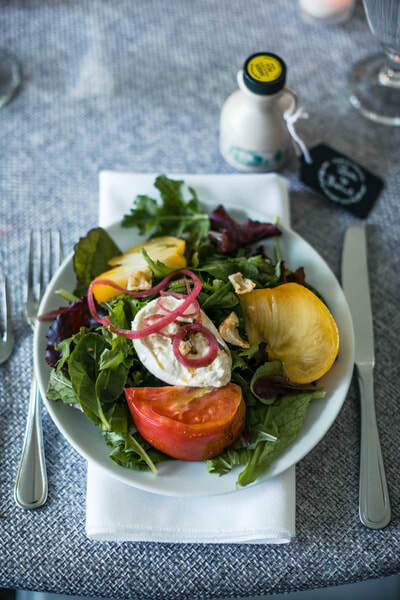 The Inn is beautiful, and exactly what we were looking for; a charming place on beautiful grounds, a place designed to bring people together, and feels like home - but better, and you don't have to cook breakfast! We all really loved staying here - we hung out in the Great Room, roasted marshmallows by the fire at night, played pool and foosball in the basement, and swam in the pool - everything was perfect. In terms of the wedding itself, Josh and Ann were extremely helpful with every detail from the very beginning, helping us contact vendors and organize our weekend. They were around all weekend, helping out and coordinating things, which was a huge help to us. They also have an encyclopedic knowledge of the surrounding area, so were able to recommend some really fun things for us to do and places to go. Everything was wonderful, and we highly recommend the Trailside! 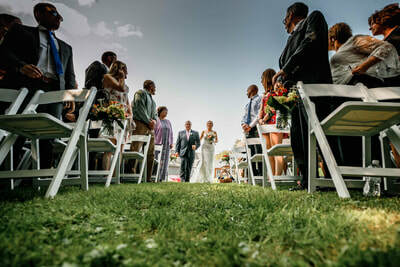 ​This was a PERFECT venue for a wedding! The inn is beautiful, located in a gorgeous setting surrounded by forests and mountains. 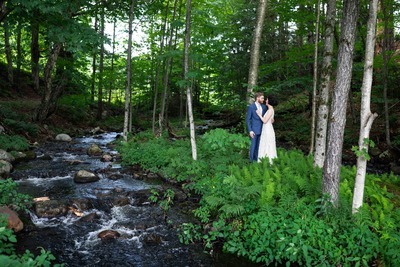 The ceremony was held along a babbling brook - couldn't have asked for a more picturesque spot! 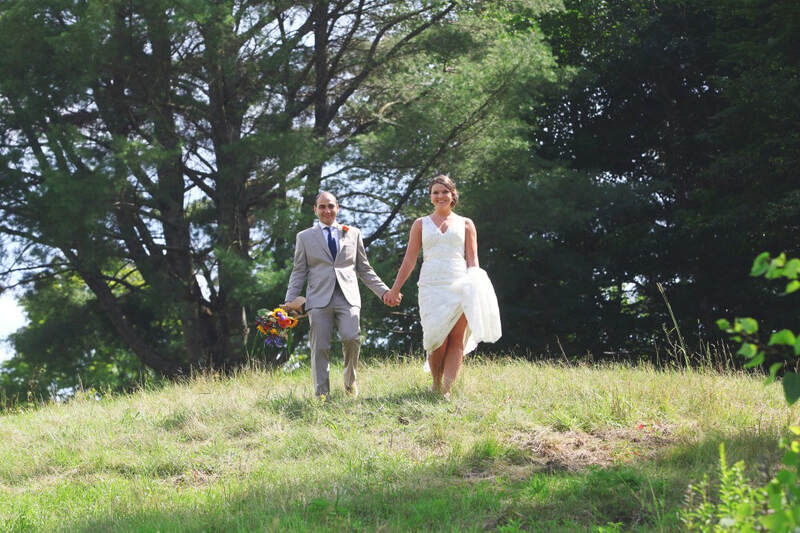 In addition to the venue itself, Josh an Ann, the Innkeepers were incredibly accommodating, kind and caring. They went above and beyond to make every detail of the weekend perfect. 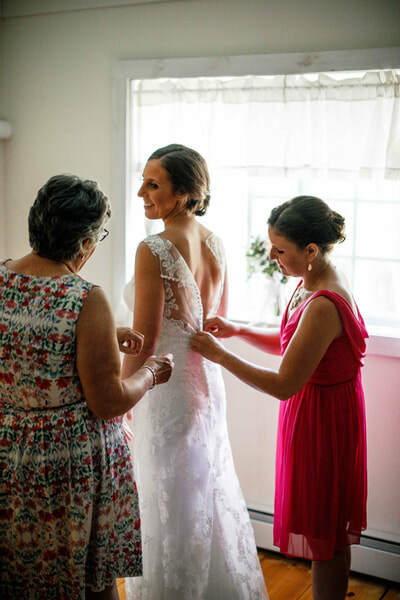 It was immediately apparent that they care deeply about their guests, and understand how a personalized touch can make an entire wedding experience feel even more special and intimate. 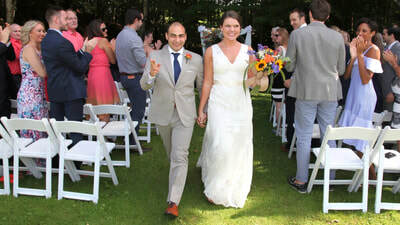 Kudos to Josh, Ann and the Trailside Inn! I couldn't recommend a wedding venue more highly.